On 14 March 2014, private William McAleer of the Royal Scots Fusiliers and 19 unknown British soldiers of the First World War will be reburied at the Loos British Cemetery in France. Private McAleer was killed in action on 26 September 1915, while serving with the regiment’s 7th Battalion. These soldiers of the Great War will be laid to rest at 10am (local time) in the CWGC cemetery. The remains of the 20 British servicemen were uncovered in a communal grave in Vendin Le Vieil, France. The remains of 30 German soldiers were also found in close proximity and were handed over to the German authorities. 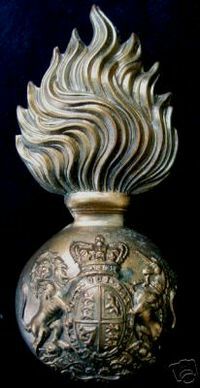 Surviving regimental insignia helped to link some of the remains to specific regiments. Seven of the men had belonged to the Royal Scots Fusiliers, two to the Queen’s Own Cameron Highlanders, one to the Northumberland Fusiliers and one to the York and Lancaster Regiment. Nine of the soldiers remain completely unknown. Each of the regiments involved suffered high casualties in September 1915 and there were very few personal artefacts to assist further identification. Only one of the soldiers had an identity tag – 22-year-old private McAleer of the Royal Scots Fusiliers. This entry was posted in Events and tagged 1915, Battle of Loos, Centenary of the First World War, CWGC, Loos British Cemetery, news, private William McAleer, Queen's Own Cameron Highlanders, Royal Scots Fusiliers, Scotland in the First World War, UK News, Vendin Le Vieil, WW1. Bookmark the permalink.